Swimming Canada and Swim Alberta extend sincere condolences to the family and friends of Ollie Currie, who passed away peacefully this week after a short battle with cancer. Ollie was a beloved member of the Swimming Canada family and spent countless hours as a volunteer, administrator, team manager and past member of the Board of Directors. Ollie’s combination of charm and organizational skills led her around the world as Team Manager with Team Canada at the 1988 Olympic Games, 1996 & 2000 Paralympic Games, three World Championships, four Commonwealth Games, four Pan American Games and two Pan Pacific Games teams. She also served as the Chef de Mission for the Aquatic Federation of Canada at the 1994 World Championships in Rome. 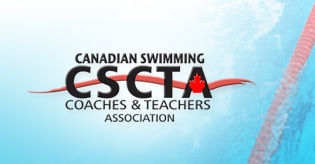 “The success of swimming in Canada depends on its volunteers and Ollie was one of the best. Over the years, Ollie had many roles including Team Manager, President of Swim Alberta and Director of Swimming Canada,” said Cheryl Gibson, President of Swimming Canada, 1976 Olympic Silver Medallist and past National Team member. Ollie also dedicated her time serving as a Board Member for not only Swimming Canada, but for the Commonwealth Games Association of Canada, the Canadian Paralympic Committee, the FINA Swimming World Cup Organizing Committee, and Swim Alberta. “I had the pleasure of being on Canadian Swim Teams where Ollie was the Team Manager. She kept us in line, made us laugh and found a way to get the team whatever it needed. In her administration roles, she had a keen sense for setting priorities and had taken the “athlete first” approach. Ollie will be sadly missed by her many friends in the swimming community,” added Gibson. In 2011, Ollie was inducted into the Alberta Sports Halls of Fame and invested into the Order of Canada by the Governor General for all her dedication and accomplishments to the sport of swimming. As witnessed by the outpouring of messages and memories on social media since her family’s announcement, Ollie’s passing is impacting people across the country. Swimming Canada and Swim Alberta thank the Currie family for sharing Ollie with us for so many decades of wonderful memories.